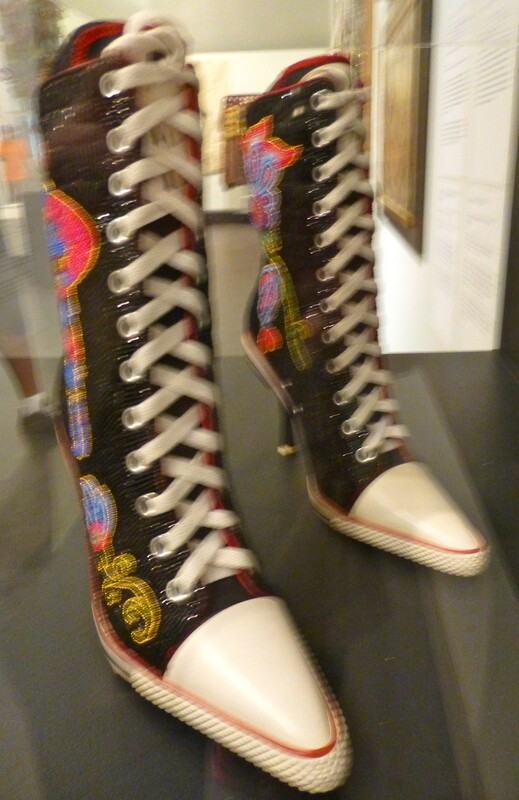 These boots combine the traditional technique of beadwork with modern fashion in an entirely contemporary way. 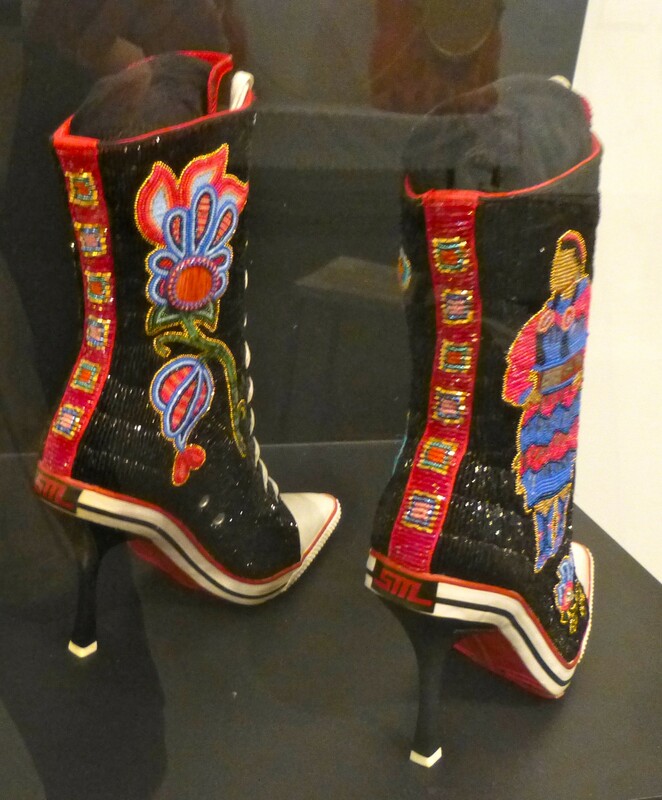 To create them, artist Teri Greeves (Kiowa, Native American, born 1970), elaborately embellished the pair of high-heeled sneakers designed by Steve Madden with imagery significant to the Great Lakes tribes. One side shows the tribes’ designs and the other, contemporary jingle-dress dancers who perform at powwows. 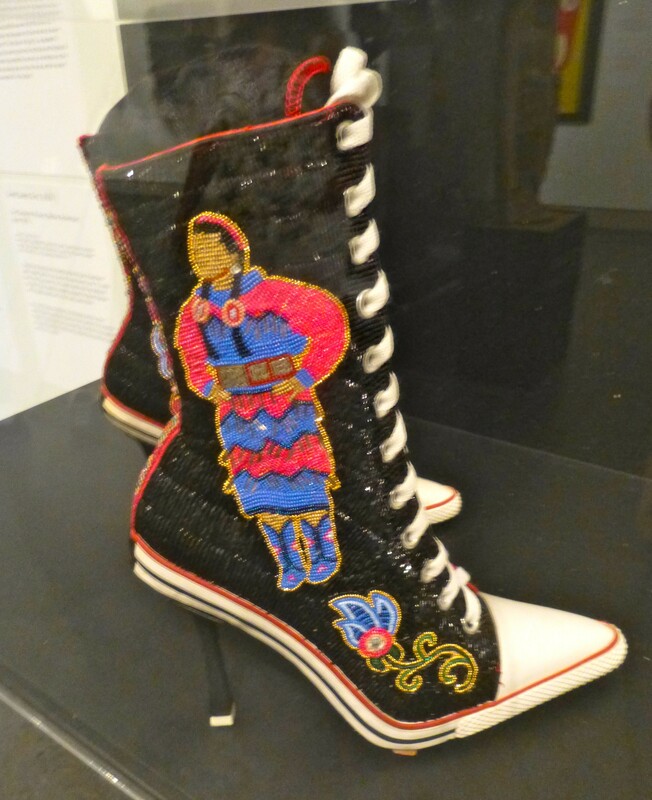 Greeves’ innovative work connects her with the long tradition of female beadwork artists who fulfilled this important role within their culture. Photographed at the Brooklyn Museum.